Recently, I took a trip down to Los Angles and spent some time on Abbot Kinney, a popular and charming shopping boulevard in Venice. While there are a bunch of design and clothing stores on the street, two of my favorites fell into the style category. There was Tortoise General Store, a Japanese destination where tea kettles, rare teas, beautiful kitchen items and more filled up the space. Outdoors, shoppers were learning wood carving techniques, and out back is a second storefront. Here, I found a set of three bamboo bracelets unlike anything I've seen before. The type of find that I would have worn consistently. Unfortunately, I passed them up and I'm kicking myself for doing that. If you're in the area, be sure to check out Tortoise General Store and look for one-of-a-kind jewelry items, as well as charming and unique tea towels. 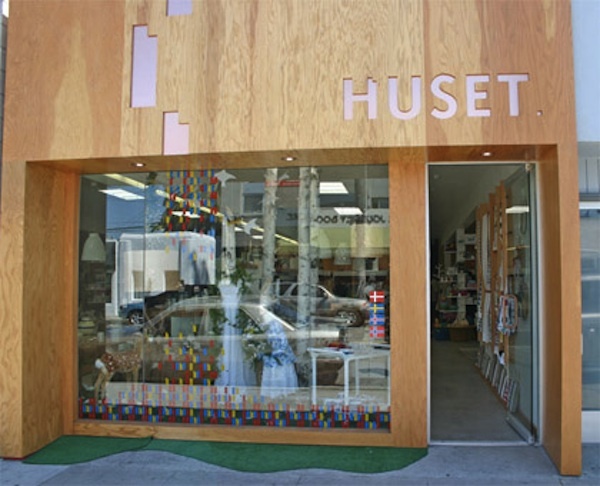 My other favorite discovery was Huset, a modern Scandinavian store selling the likes of Marimekko and Lotta Jansdotter. As a huge fan of the simple and nature-inspired elements of Scandinavian design, Huset was like a candy store for me, selling clothing, housewares, jewelry and more. Huset also offers a fantastic children's selection. For an internationally design-inspired afternoon, check out Abbot Kinney the next time you're in L.A.